5 $1/1 Fast Fixin' Coupons & Possible Survey! 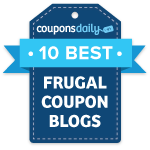 5 $1/1 Fast Fixin’ Coupons & Possible Survey! Are you a Fast Fixin’ Fanatic member? If not, you’ll want to click here and sign up! Just for doing so, you’ll receive (5) $1 coupons! These coupons make for very sweet deals when paired with sales. The Fast Fixin’ chicken nuggets seem to go on sale for under $2 quite often! If you are already a Fast Fixin’ member, then make sure to login and see if you have a survey opportunity. You could get more coupons mailed to you!